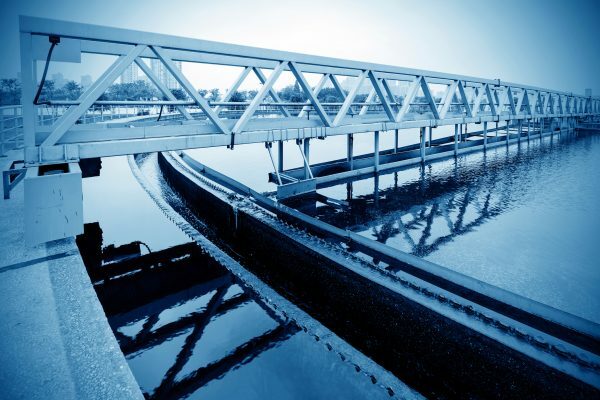 No matter your goals, this article will help you to make better decisions on the right water treatment strategies for your facility by helping you to better understand IX resin technology, and how it serves a variety of water treatment and separation needs. Ion exchange is a reversible chemical reaction where dissolved ions are removed from solution and replaced with other ions of the same or similar electrical charge. Not a chemical reactant in and of itself, IX resin is instead a physical medium that facilitates ion exchange reactions. The resin itself is composed of organic polymers that form a network of hydrocarbons. Throughout the polymer matrix are ion exchange sites, where so-called “functional groups” of either positively-charged ions (cations) or negatively-charged ions (anions) are affixed to the polymer network. These functional groups readily attract ions of an opposing charge. What are the physical properties of IX resins? The geometric shape, size, and structure of IX resins can vary from one type to the next. Most IX exchange systems employ a resin bed consisting of tiny, porous microbeads, though some systems, such as those used for electrodialysis, use a sheet-like mesh resin. IX resin beads are usually small and spherical, with a radius measuring just 0.25 to 1.25 millimeters in size. Depending upon the application and system design, the resin beads may have a uniform particle size or a Gaussian size distribution. Most applications use gel resin beads, which have a translucent appearance, and offer high capacity and chemical efficiency. Macroporous resins, which are recognizable due to their opaque white or yellow appearance, are typically reserved for demanding conditions, since they have comparatively greater stability and chemical resistance. What are IX resins made of? Weak acid cation (WAC) exchange resins. WAC resins are composed of an acrylic polymer that has been hydrolyzed with either sulphuric acid or caustic soda to produce carboxylic acid functional groups. Due to their high affinity for hydrogen ions (H+), WAC resins are typically used to selectively remove cations associated with alkalinity. Strong base anion (SBA) exchange resins. SBA resins are typically composed of a polystyrene matrix that has undergone chloromethylation and amination to fix anions to exchange sites. Type 1 SBA resins are produced by the application of trimethylamine, which yields chloride ions (Cl–), while Type 2 SBA resins are produced by the application of dimethylethanolamine, which yields hydroxide ions (OH–). Weak base anion (WBA) exchange resins. WBA resins are typically composed of a polystyrene matrix that has undergone chloromethylation, followed by amination with dimethylamine. WBA resins are unique in that they do not have exchangeable ions, and are therefore used as acid absorbers to remove anions associated with strong mineral acids. Chelating resins. Chelating resins are the most common type of specialty resin, and are used for selective removal of certain metals and other substances. In most cases the resin matrix is composed of polystyrene, though a variety of substances are used for functional groups, including thiol, triethylammonium, and aminophosphonic, among many others. To fully understand how IX resins work, it is important to first understand the principles of the ion exchange reaction. Put simply, ion exchange is a reversible interchange of charged particles—or ions—with those of like charge. This occurs when ions present on an insoluble IX resin matrix effectively swap places with ions of a similar charge that are present in a surrounding solution. During an IX cycle, the solution to be treated would be added to the IX resin bed and allowed to flow through the beads. As the solution moves through the IX resin, the functional groups of the resin attract any counterions present in the solution. If the functional groups have a greater affinity for the new counterions than those already present, then the ions in solution will dislodge the existing ions and take their place, bonding with the functional groups through shared electrostatic attraction. In general, the greater the size and/or valency of an ion, the greater affinity it will have with ions of an opposite charge. Let’s apply these concepts to a typical IX water softening system. In this example, the softening mechanism consists of a cation exchange resin where sulphonate anion (SO3–) functional groups are fixed to the IX resin matrix. A counterion solution containing sodium cations (Na+) is then applied to the resin. The Na+ are held to the fixed SO3– anions by electrostatic attraction, resulting in a net neutral charge in the resin. During an active IX cycle, a stream containing hardness ions (Ca2+ or Mg2+) is added to the cation exchange resin. Since the SO3– functional groups have a greater affinity for the hardness cations than for the Na+ ions, the hardness ions displace the Na+ ions, which then flow out of the IX unit as part of the treated stream. The hardness ions (Ca2+ or Mg2+), on the other hand, are retained by the IX resin. Over time, contaminant ions bind with all available exchange sites in the IX resin. Once the resin is exhausted, it must be restored for further use through what is known as a regeneration cycle. During a regeneration cycle, the IX reaction is essentially reversed through the application of a concentrated regenerant solution. Depending upon the type of resin and the application at hand, the regenerant may be a salt, acid, or caustic solution. As the regeneration cycle proceeds, the IX resin releases contaminant ions, swapping them for ions present in the regenerant solution. The contaminant ions will exit the IX system as part of the regenerant effluent stream, and will need to be properly discharged. In most cases, the resin is rinsed to remove any residual regenerant prior to the next active IX cycle.